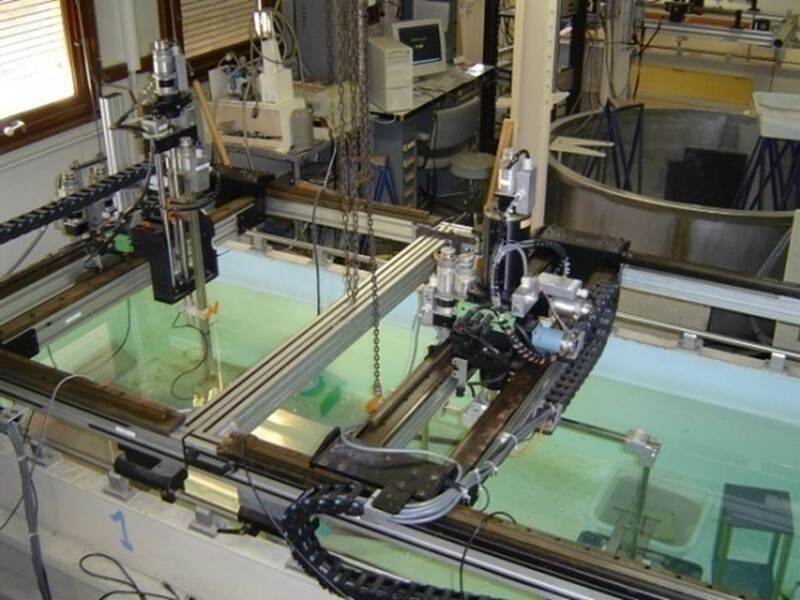 The main goal of the BENCHIE project is to provide experimental data performed under controlled laboratory conditions in order to help for comparison of numerical methods accuracy and ability to model seismic wave propagation and imaging in complex environments. WHY? In models with simple structures and slowly varying material properties, conventional methods are efficient tools for seismic modeling and inversion. However, difficulties arise for complex geological structures with large and rapid structural changes, and conventional methods fail to simulate realistic wavefields, due essentially to the presence of shadow zones, diffractions, and edge effects. Different methods have been developed to improve seismic modeling in such complex geological environments. They are typically tested either on synthetic configurations against "validated" methods, or via direct comparison with real data acquired in situ. Such approaches have limitations, especially if the propagation occurs in a complex environment with strong-contrast reflectors and surface irregularities. Indeed, it can be difficult to determine the method which gives the best approximation of the "real" solution, or to interpret the results obtained without a priori good knowledge of the geological environment. HOW? An innovative approach for seismics consists in comparing the synthetic data computed by means of different methods or techniques with laboratory scale measurements of 2D and 3D data corresponding to different acquisition surveys. In contrast with in situ experiments, high quality data can be collected under laboratory conditions. In contrast with numerical experiments, real waves propagate through models with no numerical approximations. Consequently, such an approach might be a useful step for validation of numerical methods widely used in seismics nowadays before they become tools for seismic modeling in real geological environment. WHAT? 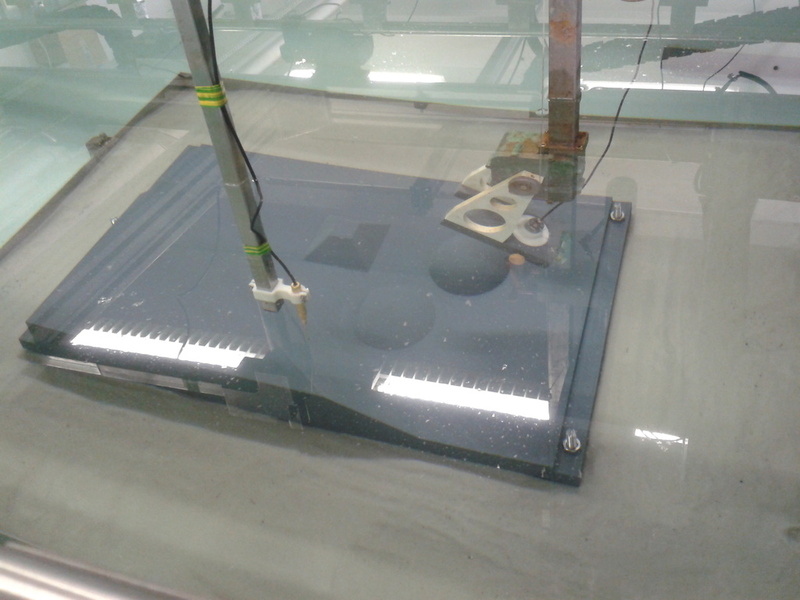 For purposes of propagation and migration problems, laboratory scale experiments have been carried out using the indoor tank facilities of the Laboratoire de Mécanique et d′Acoustique (LMA, Marseille - France). Measurements of zero-offset and multi-offset reflection of broadband pulses have been performed over a strong topographic environment immersed in a water tank. 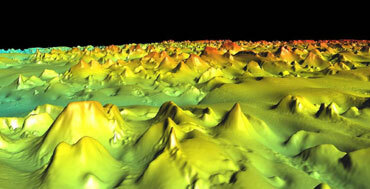 This environment, called the Marseille model, is partly based on the French model (1974, Geophysics). 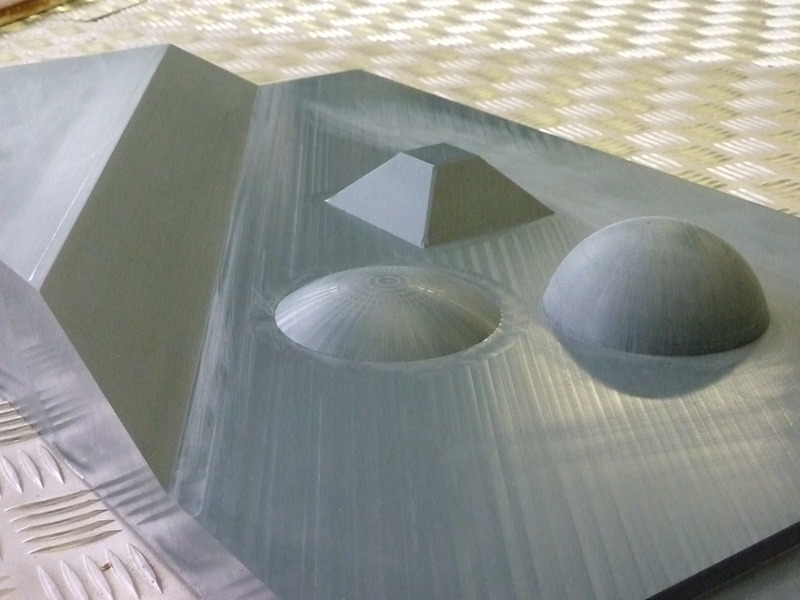 In addition to a plane fault and a full dome, it however contains additional features such as a truncated dome and a truncated pyramid. The presence of the edges and the vertices of these structures is expected to complicate significantly the wavefields. Currently, numerical simulations using different methods (e.g., Spectral-Element Method, Tip-Wave Superposition Method, ...) are tested against these laboratory experimental data.